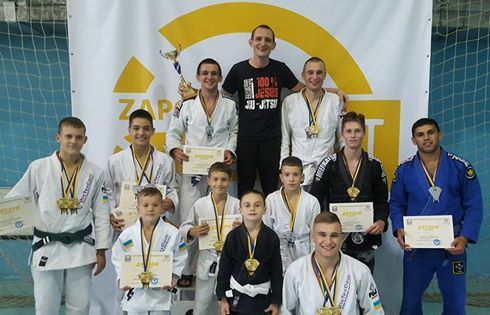 “Zaporozhye GI Open 2017” championship, that took place in Ukraine, Zaporozhye city, has finished successfully for one of the Ukrainian clubs! SC Borets/ ZR Team Kropivnitskiy took the first team ranking place! All team members went home with medals: 9 gold, 4 silver and 2 bronze. Roman Nepota has excelled on the championship having won 85 kg. category, despite his own weight that is 75 kg. In addition Roman also won the absolute weight category. Also coach of the team, Ievgen Skyrda, noted 14-years-old junior Serhii Krasovskyi, who won his weight category, and then, confidently won the absolute category among juniors up to 17 years. Igor Tenenyk – 2nd place.